'Tis the season for hops. Now don’t get me wrong: Just as plenty of great pasta sauces are made from tomato paste, plenty of great brewers use hop pellets. But it’s important to understand that hops don’t begin their lives as hamster food. The hops used in beer start out as the flowers of hop plants. When initially picked, these “fresh” hops have a bit of a tacky, or “wet,” feeling to them and, if brewers act quickly, they can immediately be used in brewing beer. “Fresh Hop” or “Wet Hop” beers (though some may argue otherwise, I believe the names should be interchangeable) are made in this fashion: using hops directly off the bine (similar to a vine, but botanically different) without drying them for preservation, instead brewing with them as quickly as possible before they lose their fresh aromatics and flavors – usually within 24 hours of picking. Since most breweries aren’t situated on their own hop farm (though nowadays a few are) and the vast majority of brewers aren’t even that close to major hop growers, making Fresh Hop beers can be tricky logistically, especially for brewers outside of hop regions like the Pacific Northwest. That said, the additional delicate fresh flavors wet hops impart to a beer make the style worth the effort, leading some brewers to jump through the hoops of getting wet hops sent to them however they can. Another complicating factor with the style is that, based on the nature of how hops grow, Wet Hop beers are a truly seasonal affair: Production can only begin at the precise time hops are harvested, which happens in the late summer to early fall in the Northern Hemisphere. I say “Northern Hemisphere” because – speaking of “logistical hoops” – Sierra Nevada makes its Harvest IPA two times a year: once in the fall during the American hop harvest and once in the spring using New Zealand hops cultivated during the Southern Hemisphere’s hop harvest. To be fair, Sierra Nevada cheats a bit on its Southern Hemisphere Harvest Fresh Hop IPA – drying the hops so they can ship them to the brewery within seven days. 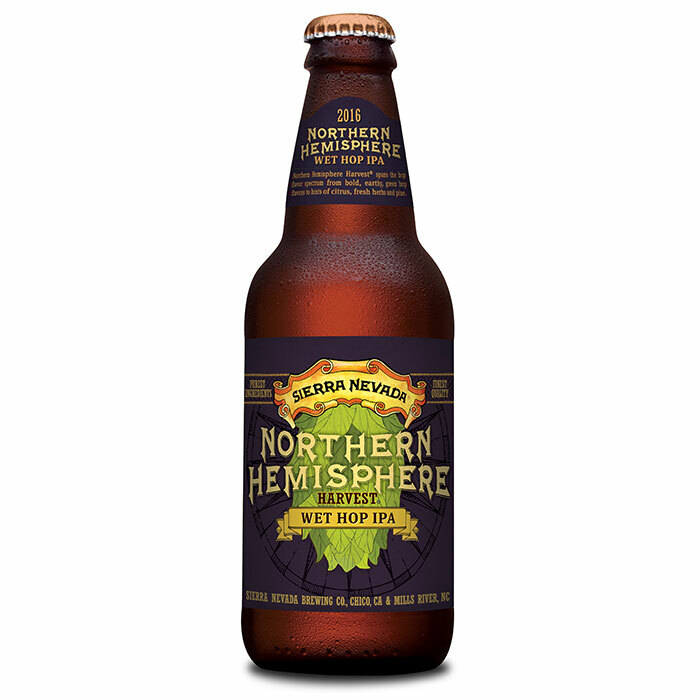 Therefore, though the Southern Hemisphere is tasty, for an even fresher experience, grab the brewery’s Northern Hemisphere Harvest Wet Hop IPA – billed by Sierra Nevada as “the first wet hop ale” – for a classic example of the added grassy and herbal flavors you can get from using truly wet hops. This brew is one of the easiest Wet Hop beers to find and still one of the tastiest. Looking to explore other Fresh Hop beers? Washington’s Bale Breaker Brewing Company is literally surrounded by hop fields in the Yakima Valley, America’s largest hop growing region, so you know their fall seasonal Piled High Imperial Fresh Hop Ale will be packed with hops so fresh the brewery claims they got from bine to brew in “just five minutes.” Meanwhile, adventurous East Coasters should consider taking the scenic drive out to Penn Yan in New York’s Finger Lakes region. There, you’ll find Climbing Bines, a picturesque production hop farm with a small on-site craft brewery working out of a rustic wooden taproom with a stunning view of Seneca Lake. Though most Wet Hop beers tend to be Pale Ales or IPAs, this tiny brewery makes a Fresh Hop Hefeweizen that shows off its estate-grown hops in a refreshing wheat beer.